Let’s start by looking at what you see if you are not logged in or subscribed to the best Disney planning site within 3 planets of the sun. 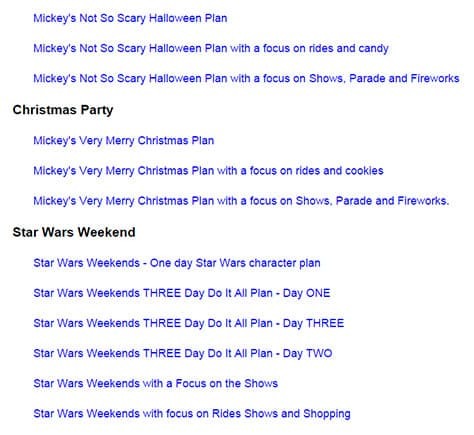 You can see a full list of currently available plans. Click on a few and see what you discover. You’ll find that they are more detailed than any touringplans you’ll find out there and very easily customizable! At the time of this article, there are nearly 50 plans already created. I’m still creating more and will soon offer Blizzard Beach and Typhoon Lagoon plans as well as incorporating my Crowd Calendars more fully and lots of other fun things. 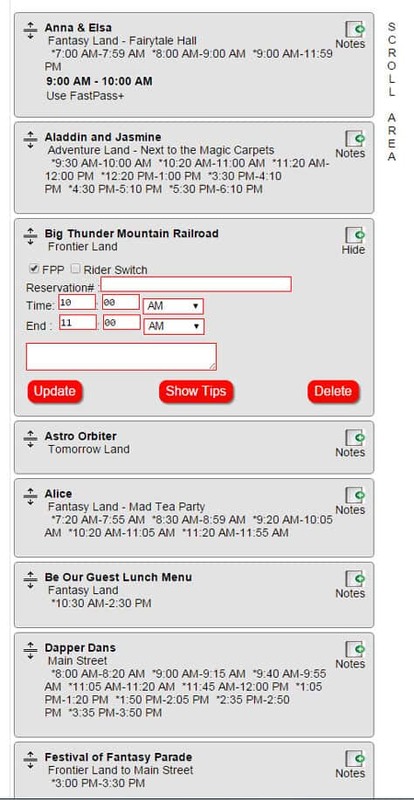 I clicked on the Magic Kingdom Characters ONLY plan. 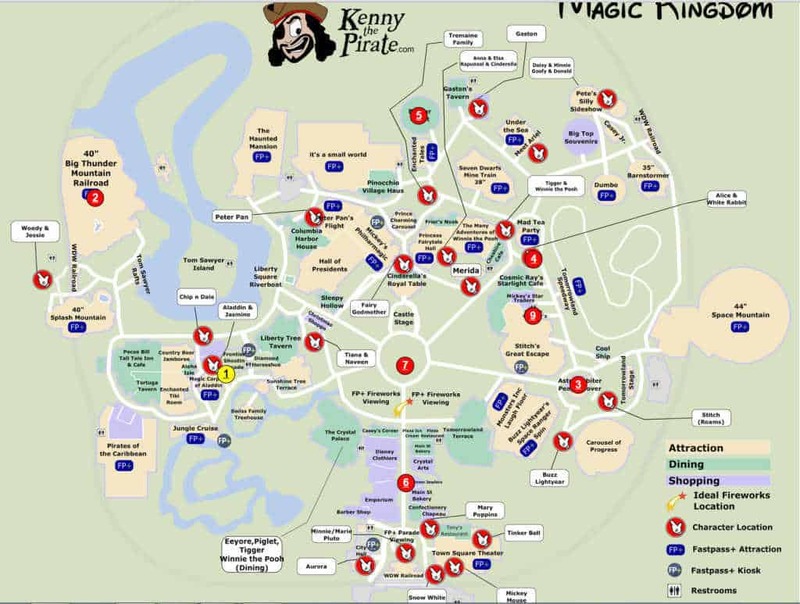 You’ll see an outline for meeting all the wonderful characters in this park. 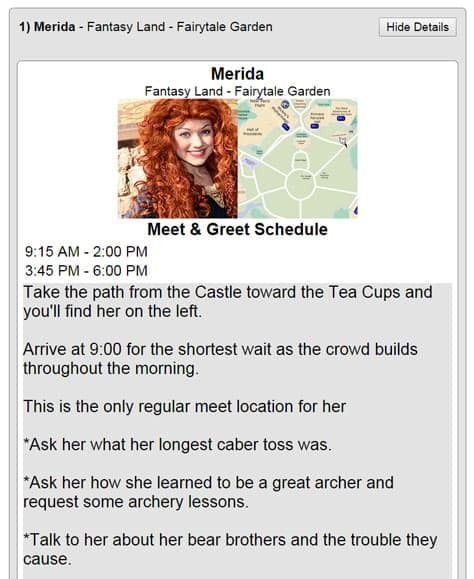 And, if you click “Show Details,” you’ll find the character’s photo, map (clickable to full size now), full schedule and interaction tips with a single touch. 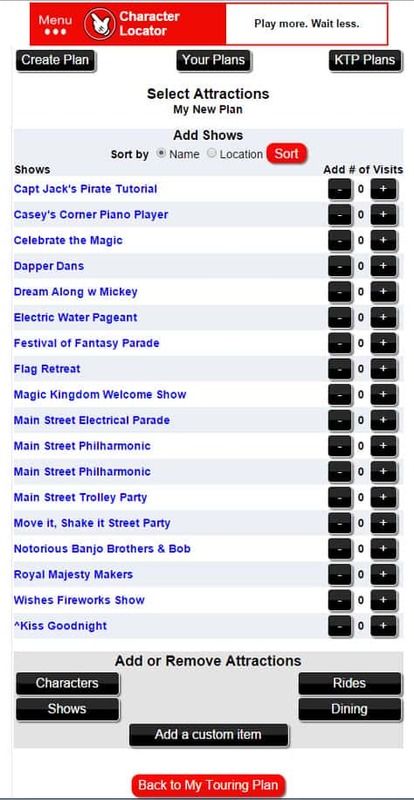 If you have an active subscription, you can even use our powerful Disney World touring plan creator. 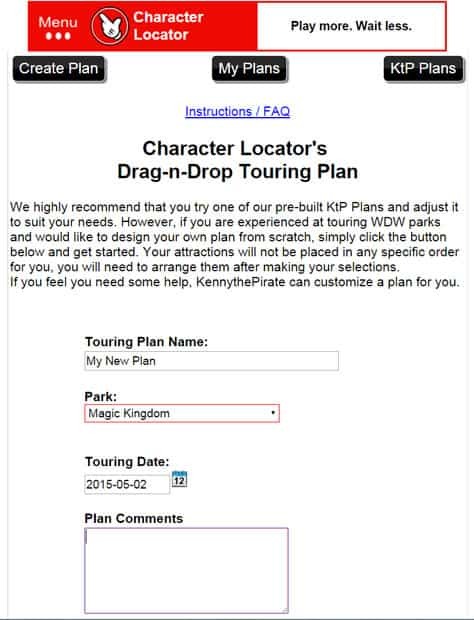 Just give your tour plan a name, choose your park and date. 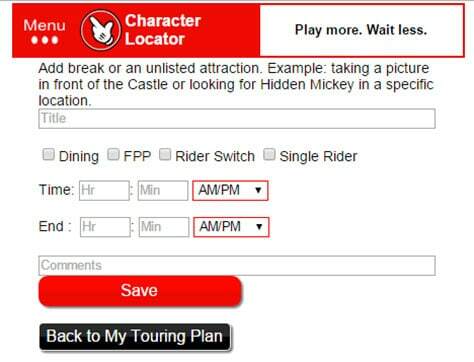 You can add any special notes here, but each attraction has a notes area as well. 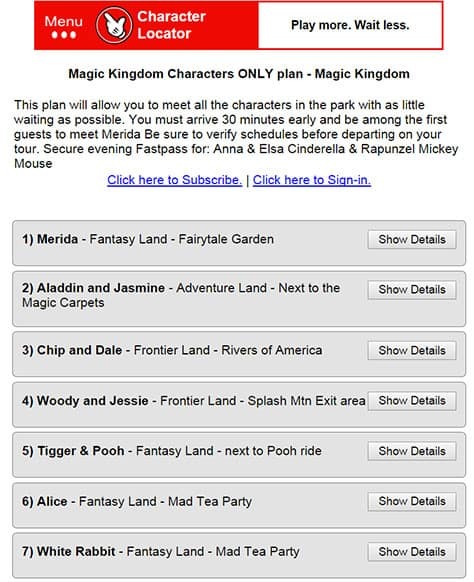 Next, you can select all your favorite characters from each park for your plans. If you click on a blue link, you’ll find all their data before deciding if it’s a character you’d like to meet. Best part. The expandable links work for characters, shows, rides and dining! Just click the plus to add it to your plan or minus to remove it. After clicking upon the “Shows” button, you’ll see something that looks like this. Again, click on the title for a preview. Use the plus and minus to add or remove. Then choose your rides in the same manner. 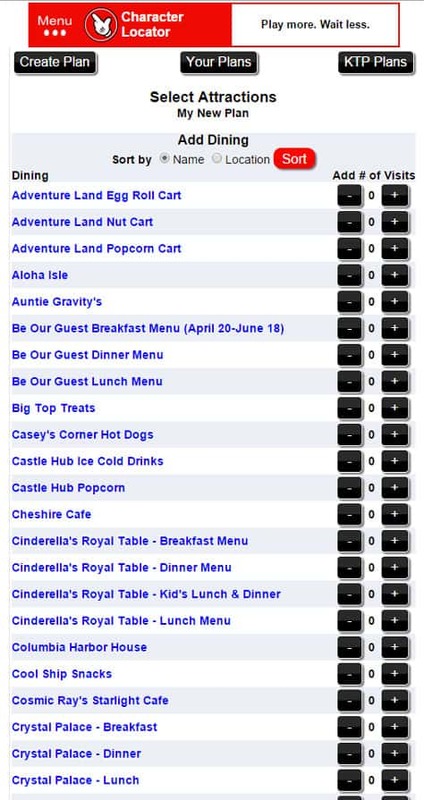 Choose any meals you’re interested in or any snack locations you might wish to visit. 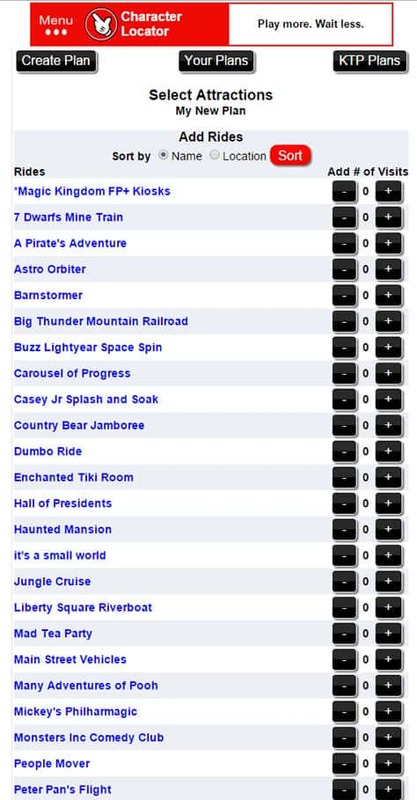 If there is any small detail that we missed, you can add it with with the “Add a custom item.” Don’t use this to add an attraction, we’ve done that work for you. After choosing your attractions, you’ll move into what we call the EDIT MODE. It’s where you can drag things and drop them where you like. You can use the “Notes” button on the top right to add your Fastass time, dining time, plan to use rider switch or single rider. For your dining, add that Advanced Dining Reservation number for easy access. 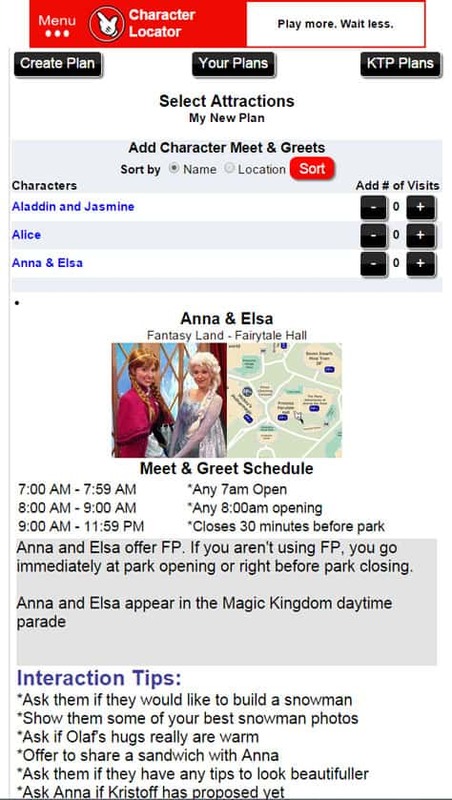 I’ve already added FP+ for Anna and Elsa and I’m adding it for Big Thunder Mountain below. If you click “Show Tips” you can see that same full info you saw by clicking the blue links in the build mode. After you’ve arranged things the way you like, you can now view your plan. 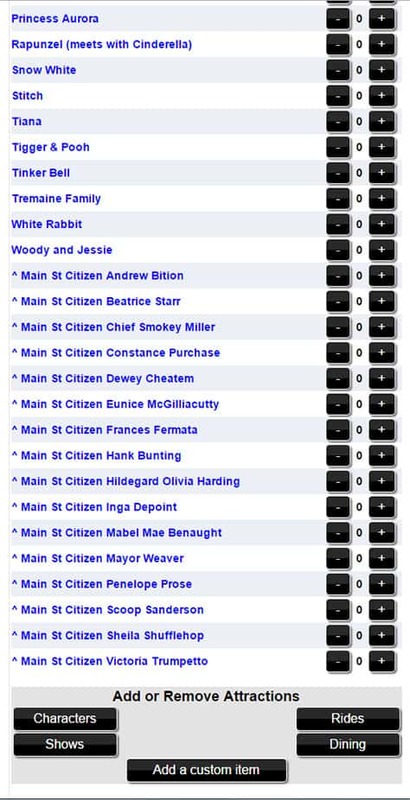 You’ll see the park name, plan name, date you’ve chosen and park hours at the top. 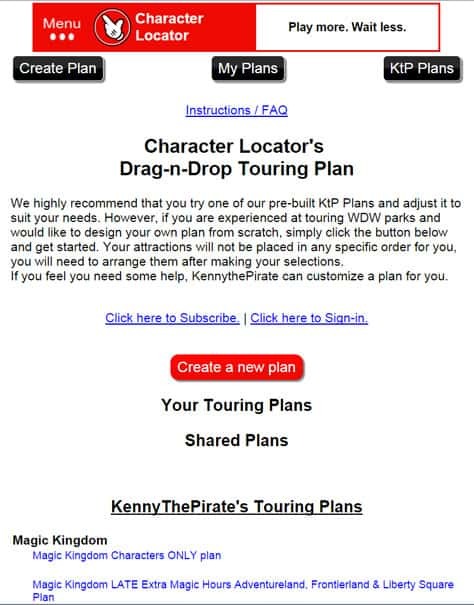 Below you’ll see the same type of presentation I showed you with the KtP plans above with the “Show Details” button. 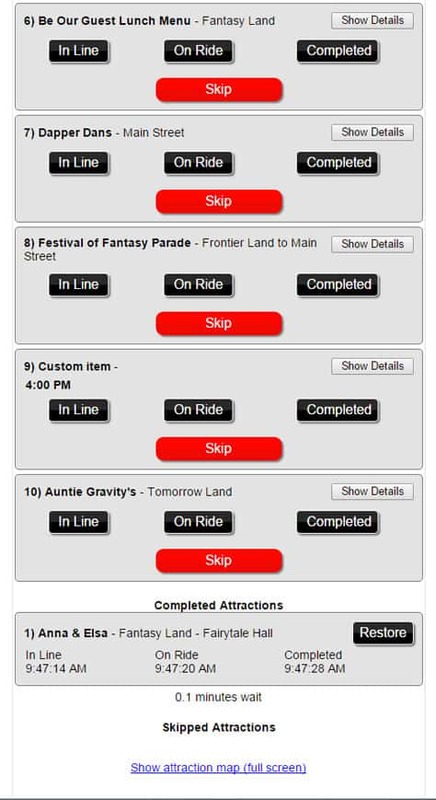 We’ve also included the ability to easily time your wait for any attraction by just clicking “In Line,” “On Ride” and “Completed.” You aren’t required to use any button, but Completed will move the item from the top of the list to your Completed attractions at the bottom and also records it in your History. Another awesome feature is the ability to scroll to the bottom of the page and preview your attractions on my custom designed map. You’ll see your choices in numerical order that matches your plan. If you change the order, it adjusts them map too. 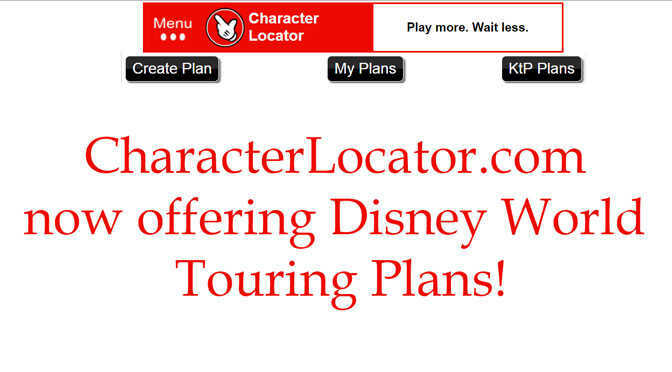 I think you’ll find that Character Locator is the best investment for your Disney World vacation and it costs less than an order of Chicken Nuggets. If you have any questions, post them below and don’t forget to share with your friends! This looks great. Does it give guidance though at all on times? Or is it just a helpful list? Looking for something that’ll take my list and order them appropriately for least amount of waits. Would this do that? Or is that more your $25 custom plans? If it is a “custom plan” feature for that $25 would I get to use this program or are these separate services completely? Hope that makes sense :) Love your site! 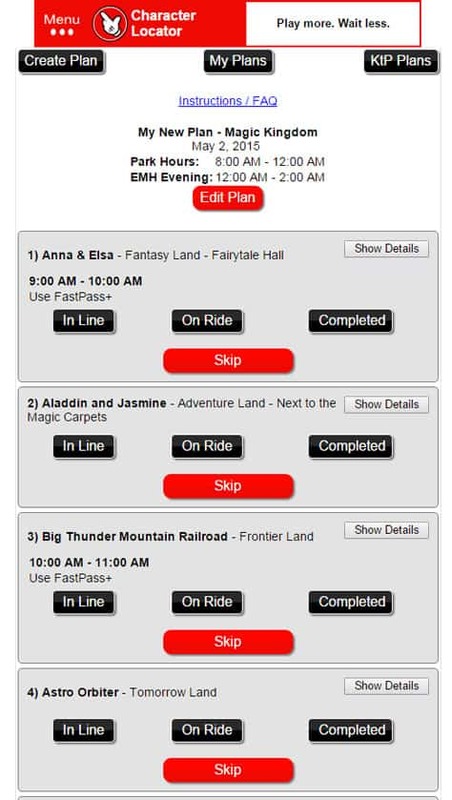 It is placed in order and tells you when you should do things and when you should reserve Fastpass. Custom plans involve me building an exact plan that accomodates your dining and other reservations. Thanks so much for clarifying! I’ll be back come closer to my planned May 2020 trip! 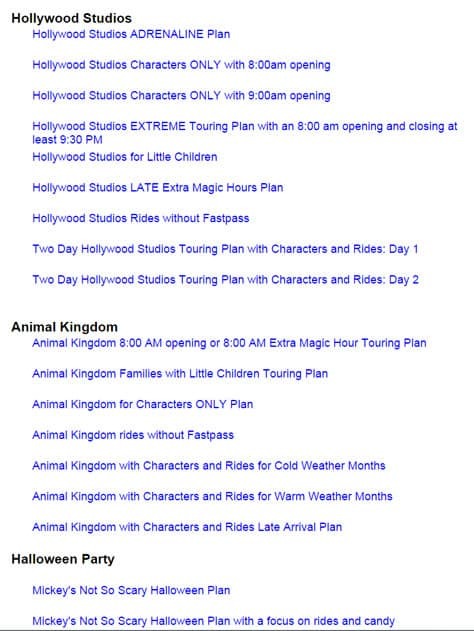 Hi, with the touring plans, can we assume a 9am opening for all the non EMH plans? Can you please explain the wait times listed? Are they average or real-time? 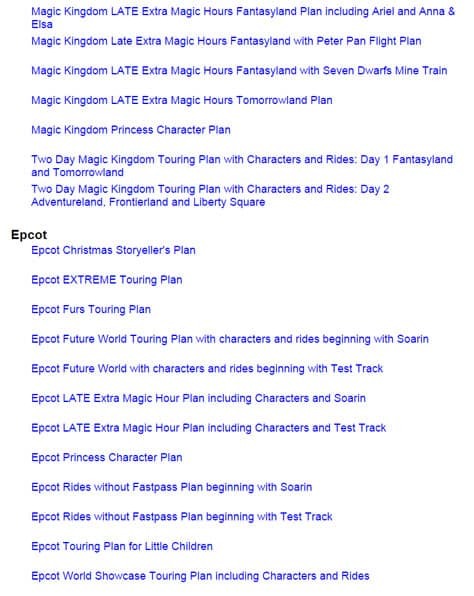 Trying to figure out the beginning of the 1st day of the 2-day MK plan–you have 5 things listed before Gaston at 10am. Thanks so much! Super awesome! My 180 is days away. This will really help! Thanks for this great addition! You got me all fixed – thank you! Welcome. We try to provide quality service. Kenny, this looks great. I signed into Character Locator, and it said my subscription had expired. I went through PayPal and paid for a new subscription (actually, I ended up DOUBLE paying, but that’s another story). Anyway, when I sign back into the app, it STILL says my subscription has expired. Very frustrated – can you tell me what I’m doing wrong?? Thanks! Please contact support@characterlocator.com We’ll be happy to resolve your issue right away. Wow! This is amazing! Impressed! I was one of the beta testers and the final product looks even better! Can’t wait to use it on my next trip! You are amazing! We now have a way of planning the first trip for my little ones that will work! Hope you know how much your hard work helps so many! 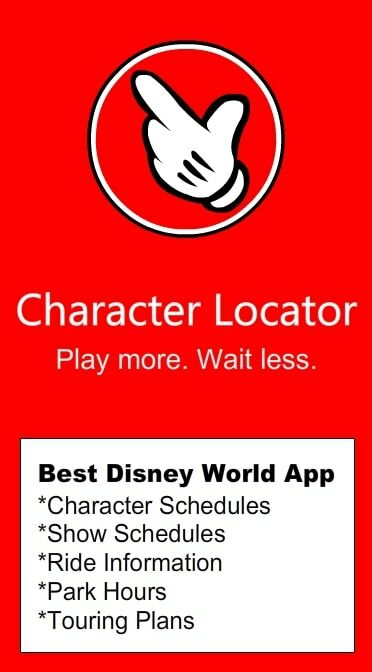 I already purchased the character locator, so when will the plans be up so I can start working with them? CAN’T WAIT! Already there. Top of menu screen. This looks amazing! I love that it has a personalized numerical map!! Thank you! Excellent Job Kenny and Brother! Looks amazing … Now I just need another WDW trip!